Organic Sugar, Organic Extra Virgin Olive Oil, and Organic Essential Oils make up the all natural Glow Detoxifying Scrub. 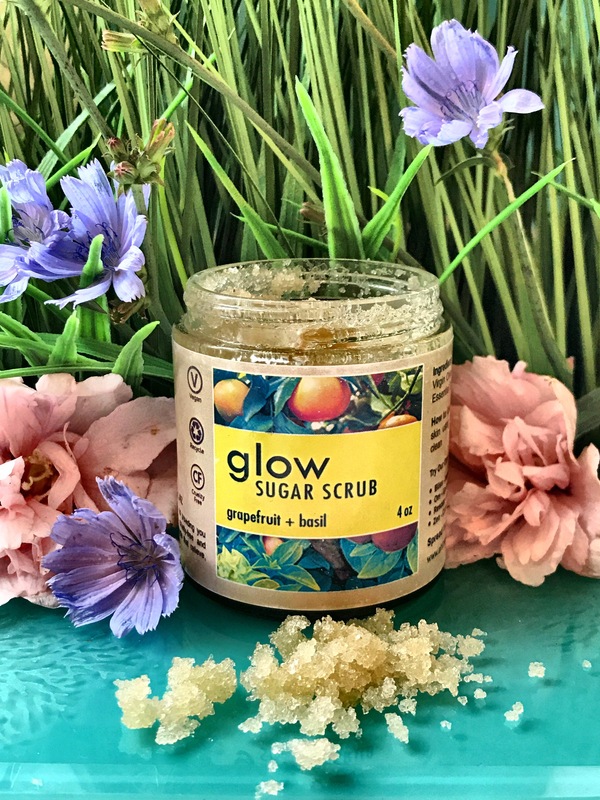 This scrub is the perfect way to relax and unwind while making your skin soft and smooth. The scent is bright and herbal, with basil being the prominent scent. Olive Oil is a wonderful moisturizer so you won’t need lotion or anything else when you step out the shower. The sugar makes this an abrasive yet not too rough exfoliator that will get rid of dead skin cells, old sunless tanners, you name it! If you enjoy authentic floral scents, you will love the Om Organic Whipped Body Butter! 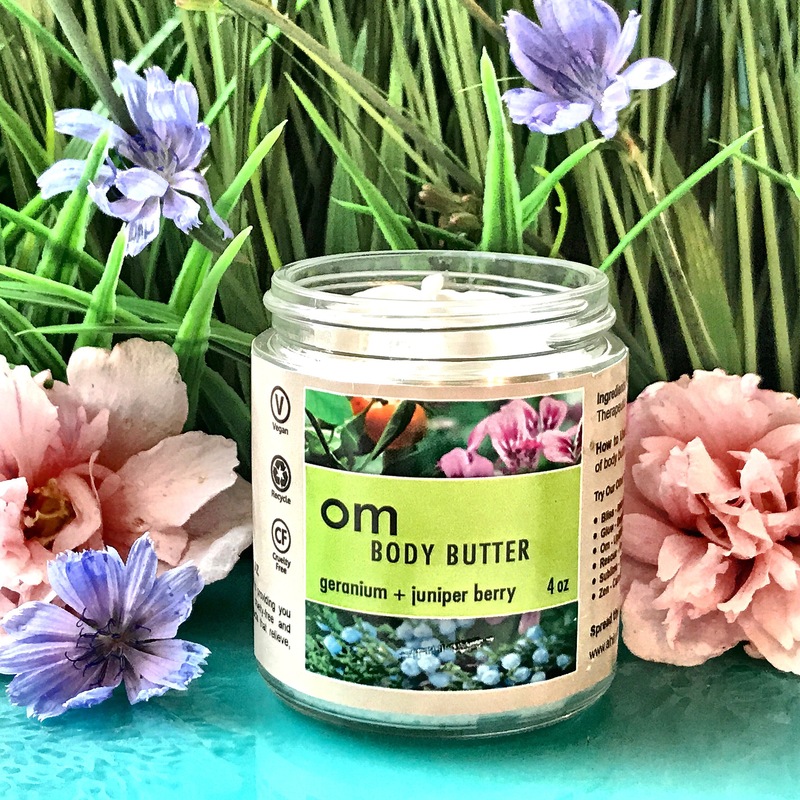 The scent of Geranium and Juniper Berry will make you feel like you’re running through a garden, while Organic Shea Nut Butter hits you with powerful hydration! The texture is light and airy, and I liked using this product to seal in moisture right after the shower. This body butter made my skin looking healthy and dewy, and it was even hydrating enough for my dry-as-heck feet! 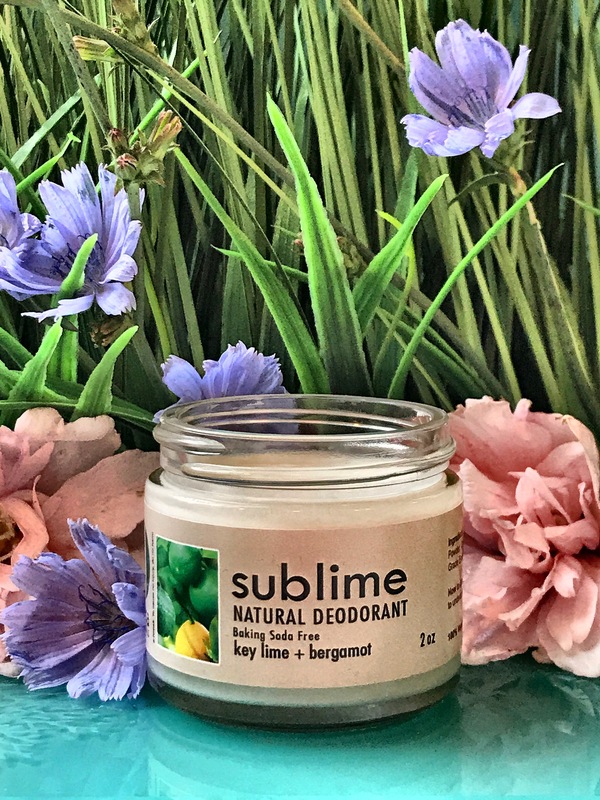 The Sublime Natural Deodorant is made for sensitive skin and is baking soda free. I have tried natural deodorants in the past that have irritated my skin, so I was excited to try this one out. The scent is Key Lime and Bergamot which you will smell throughout the day when you use this product. It is a nice and pleasant citrusy surprise! The texture is similar to a balm that melts into your skin when you massage it into your armpits. Shea Nut Butter and Coconut Oil moisturize while Arrowroot Powder absorbs odors. This deodorant was effective for me, and I only noticed the slightest bit of funkiness at the end of the day. I will definitely continue to use this! If you are looking for all natural, vegan and cruelty-free products that are sustainably made, smell awesome and actually work, ahimsa Essentials is the brand for you. I love that they are fragranced with essential oils and the packaging is as cute as can be! I highly recommend these products and would love to hear your feedback about them! Head on over to ahimsa Essentials website and check out their range of products! Thank you so much to ahimsa Essentials for these products to review!